Pictured is the North Idaho College wrestling team giving away school supplies to K-12 students at Riverstone Thursday. 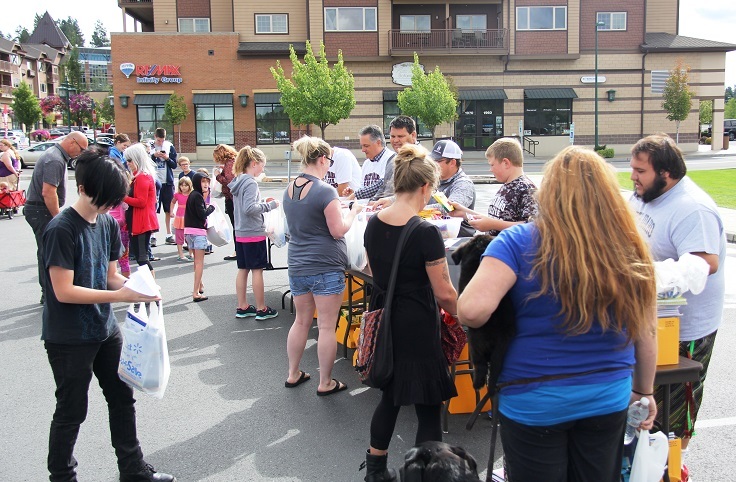 This is the third time the team has held the back-to-school event, which attracts hundreds each year. Promoting reading is a priority for the team which, earlier this year gave out its 15,000th book to elementary school children as part of the Shirley Parker Reading program.